Listen, I love me some Chinese Dynastic cinema parables. I really do. I love the way they flow…the beauty of the countryside…the absolute conviction with which the actors surrender to their character…and, obviously, the amazing choreography of combat. All good. Right? Here’s the thing…I need to have at least a clue who the players all are. In Hsiao-Hsien’s gorgeous (and I mean gorgeous) film, there are, I believe, THREE characters named Tian, and when you’re reading subtitles, that makes it pretty damned difficult to follow. In addition, it’s the various forces at work get muddled. There’s the Court, the Imperial forces, the Weibo…but the Court might be Weibo…or…I’m telling you, no one in the theater knew who was trying to get who. Also, there is a mysterious antagonistic character who shows up twice…and we have no idea who she is or why she’s so pissed. Upon the film’s end, everyone was asking, “who the heck was the woman in the gold mask? !” At least we know who the main character is and what she’s trying to do. That’s helpful. On the positive side, the attention to detail rivals anything you’ll ever see in a film from this genre. The fight scenes, which are too few for my taste, are, nonetheless, excellent. And Hsiao-Hsien changes up aspect ratio, color palette and, even film stock to amazing effect. The score, which I’m sure is incredibly authentic, is brutally monotonous, in an “Eyes Wide Shut” manner. 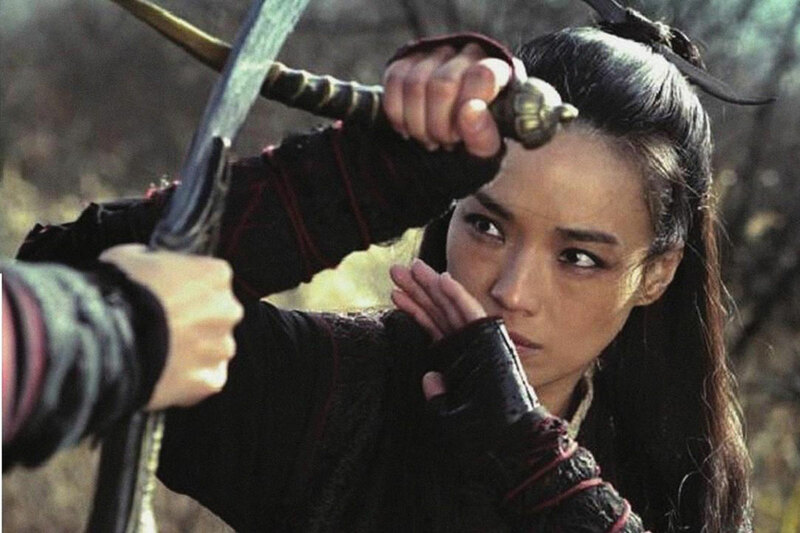 But my guess is, Mr. Hou has no interest in what American audiences think of his film – even those of us who can appreciate the whole, and not just the fights – nor should he. He’s made a stunning film. However, if you’re going to show it to non-Chinese speaking film-goers…for the love of god…DON’T GIVE THREE CHARACTERS THE SAME NAME!